First, make your way over to the eBay page, by selecting the eBay icon as shown below. 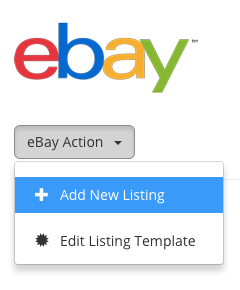 From the "eBay Action" box select "Add New Listing" from the dropdown. 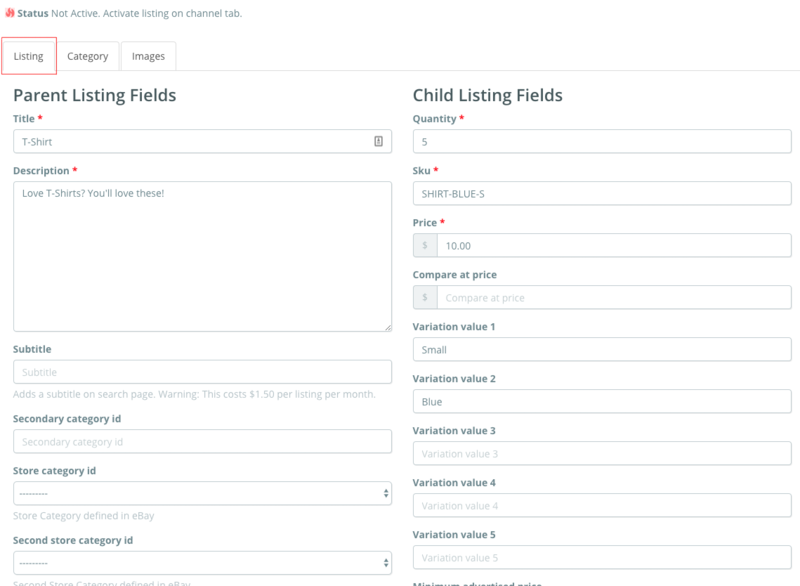 Once all is saved for the "parent" (or the first listing you're creating for this variation listing) listing, click Save Changes. 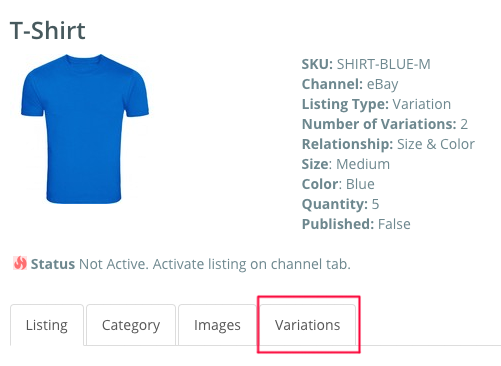 To start adding the variations (aka the "child listings"), you will need to select the "edit" button on the eBay tab of the listing that you want to add variations to. 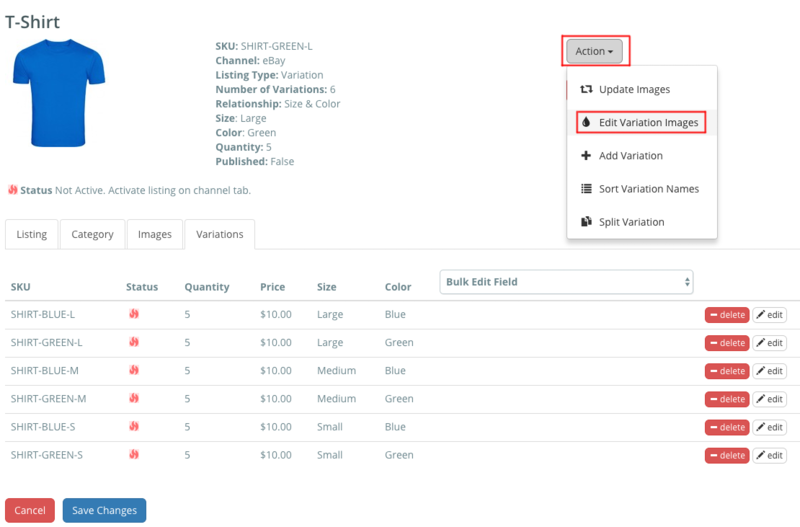 Once you select "Add variation" a dialog box will appear as shown below. Fill out necessary information as shown below. 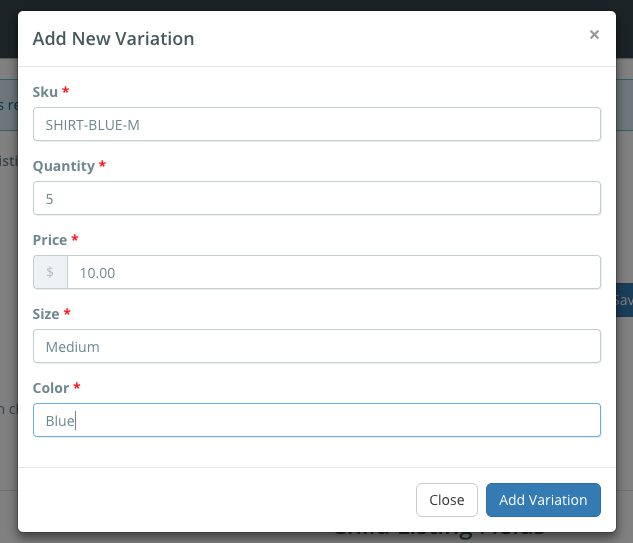 Select the "variations" tab. It will show you the original listing as well as the variation listing. Now let's say that you want to add more variations, with different colors of t-shirt. You will follow the same above directions with adding multiple listings. 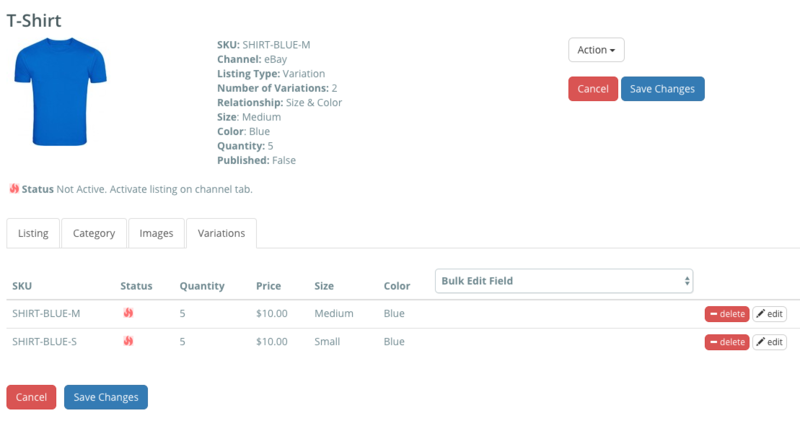 However since the new variation listing will be a green shirt, I will show you how to display a green shirt when an eBay user selects it from the dropdown. You will notice there are now 6 listings total, 3 blue shirts and 3 green shirts. 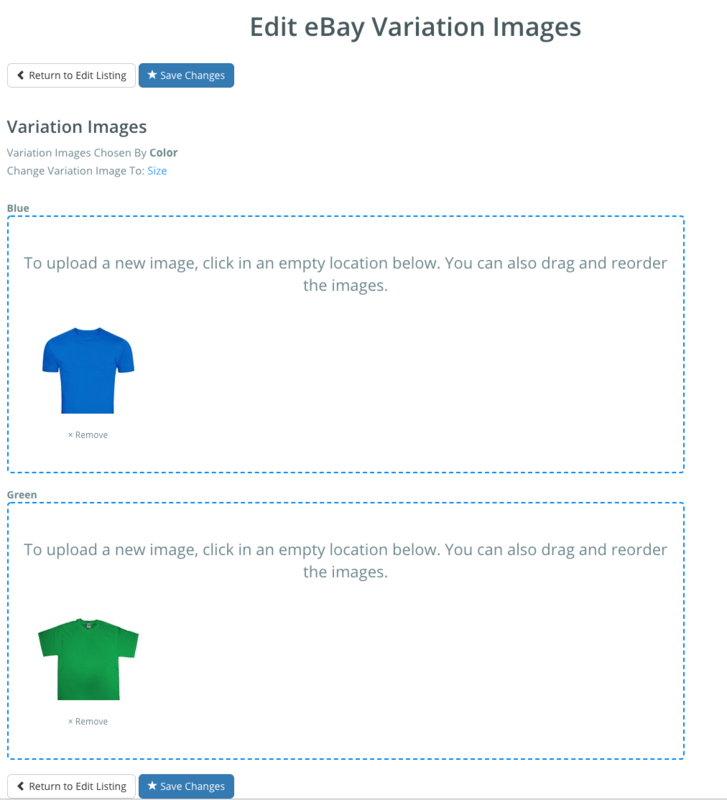 If we want to display the green shirt a green shirt is selected, then we will need to select the "action" box above and from the dropdown select "Edit Variation Images". Drag and drop your selected pictures for variation. Select save changes. 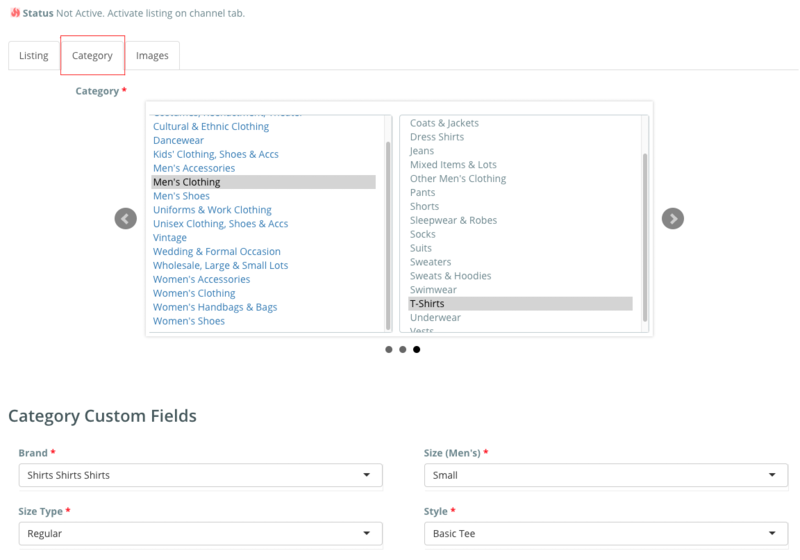 When you are ready to deploy this variation listing to eBay, you will navigate to the eBay page. 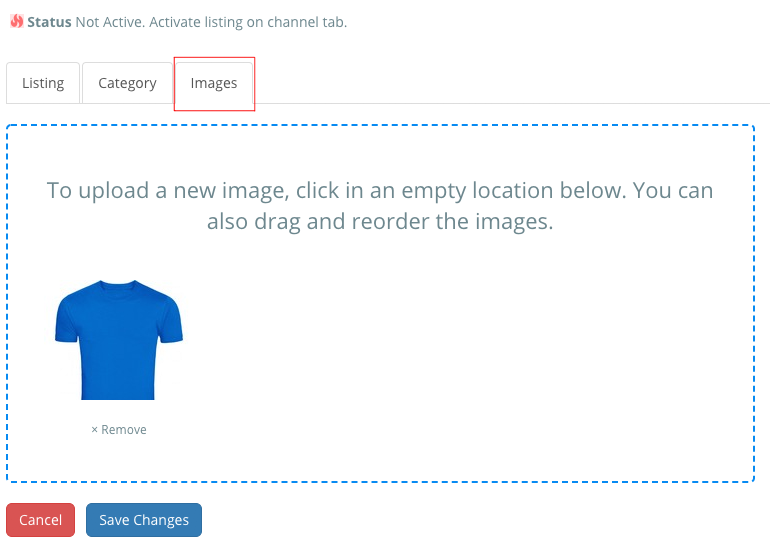 You will notice that there is a plug in the corner of the listing, letting you know that it is currently inactive. Once you've selected the SKUs to be active, it will pend a full sync as shown below. When the sync is complete, your variation listing will be live on eBay!